It may still be frigid in many parts of America but rest assured, spring is now less than a month away. And soon after the arrival of spring comes the weekly chore of cutting the grass. If you are shopping for a new lawn mower, what exactly should you look for? 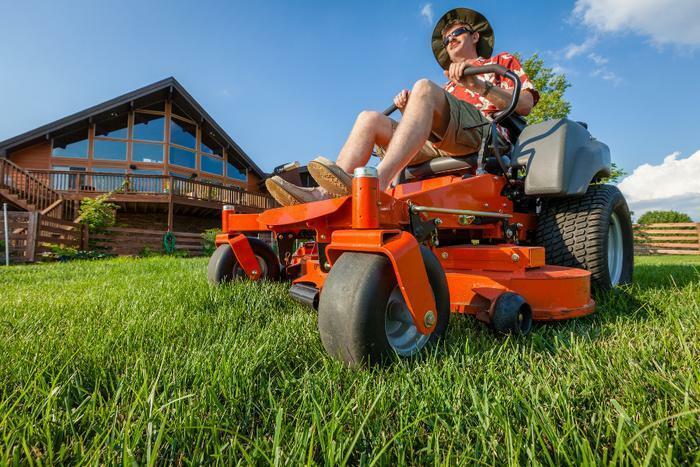 If you haven't purchased a mower in the last few years, you might be surprised by the new array of choices and options. The first choice you may encounter is between a lawn tractor or a push mower. Lawn tractors are most suitable for large lots of three-quarters of an acre or more. However, if you have certain physical limitations then you might consider a riding mower to take care of a smaller suburban lawn. Lawn tractors and garden tractors range in size and cutting widths. With optional attachments, they can perform a variety of other outdoor chores year-round, including hauling, spraying, and leaf pickup in addition to mowing. Some models accept attachments for heavy-duty chores like aerating, dethatching and snow removal. A zero-turn-radius mower has a series of levers and foot pedals instead of a steering wheel. These machines are fast and highly maneuverable, able to navigate a variety of obstacles. You won't be plowing snow with one of these machines but they can easily maneuver around flower beds, trees and landscaping, which reduces cutting time. For most average-sized lawns, a push or walk-behind mower is perfectly adequate and much less expensive. The difference between a push and walk-behind is propulsion. With a push mower, you provide the propulsion. A walk-behind mower is propelled by the engine whenever the user engages the drive gear. You still get the exercise from mowing but are less vulnerable to fatigue because you aren't expending energy pushing the mower, but simply walking behind and guiding it. Among push and walk-behind mowers there are a range of the options, including mowers that collect clippings in a bag and mowers with electric instead of gasoline motors. According to the Lowes Mower Guide, the design of the cutting deck on a mower determines where grass clippings go as you cut. Side-discharge mowers direct the clippings back out onto the lawn. Mowers that have bagging systems direct the clippings into an attached bag. Mulching mowers have decks designed to contain the clippings, allowing the blade to cut them to a smaller size. The clippings fall onto the lawn as mulch. The advantage of an electric mower is it is quiet, pollution-free and starts by turning a switch, not pulling a cord. Electrics require very little maintenance but have their limitations and are ideally suited for lawns of a quarter-acre or less. Traditional electrics come with long power cords that are plugged into a wall outlet. But in recent years manufacturers have produced battery-powered mowers that aren't tethered. These mowers feature rechargeable batteries that will run 30 to 70 minutes between charges. Electric mowers with power cords are not very practical for large lawns, or for lawns with lots of trees and shrubs.